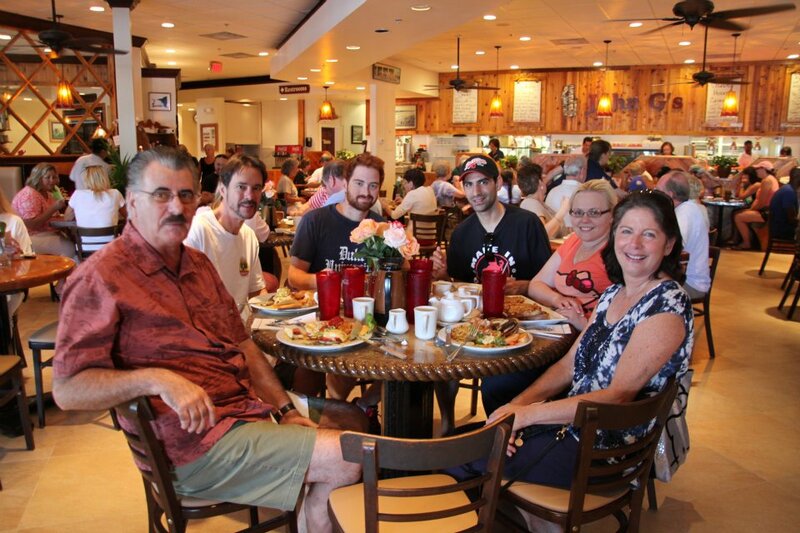 John G's Restaurant is located at 264 S Ocean Blvd, Manalapan, Florida. 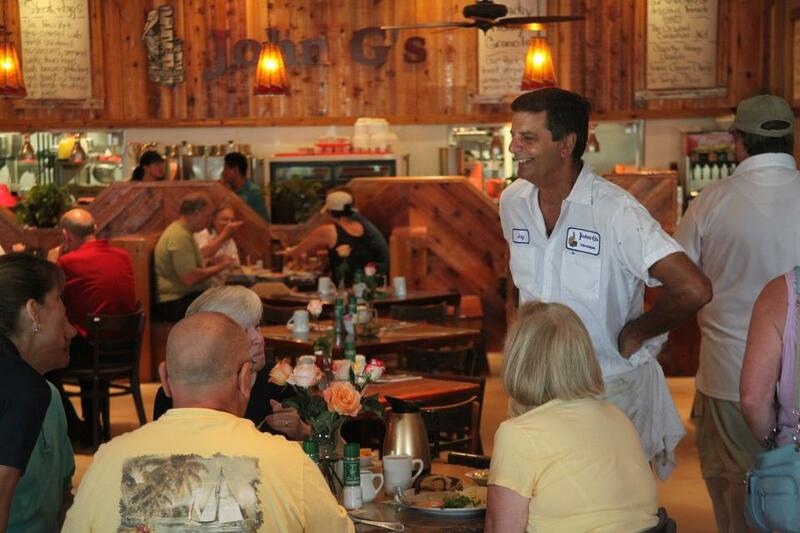 John Giragos founded John G's Restaurant in 1972 with the name Ocean View. However, in 1973 the name was changed to John G's Restaurant. The ambiance is very good and serving staff is very polite and helpful. They primarily serve breakfast and lunch. 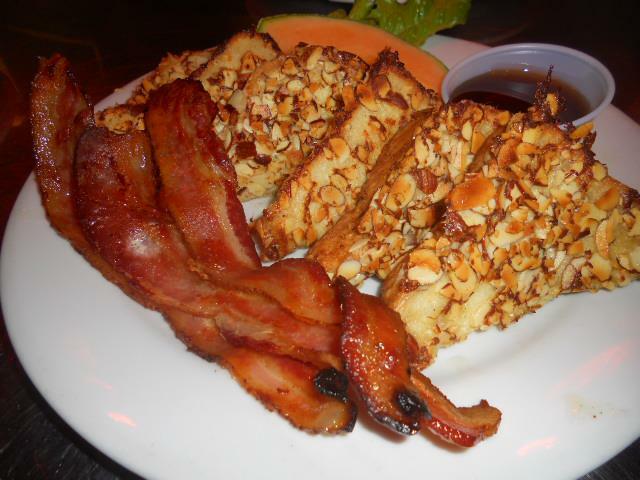 Their breakfast menu includes the original cinnamon nut French toast, thick sliced bread, liberally coated with sliced almonds & a hint of cinnamon sugar. Add ons are bacon and sausage or ham, crunchy honey granola, raisin cream cheese French toast, Danish Pastry, toasted English muffin, cinnamon toast, assorted cereals, oatmeal with milk, bagels, plain omelet, cheese omelet, ham omelet, ham and cheese omelet, mushroom omelet, tall stack, short stack, hash brown potatoes, grits, cheese sauce, corned beef hash, fresh orange juice, chilled tomato juice, grapefruit juice, apple juice, fish and chips, fish sandwich, petite fish and fruit, John G’s seafood combo, shrimps and scallops. Please visit with your family and friends to enjoy the best food in the town at John G's Restaurant, 264 S Ocean Blvd, Manalapan, Florida. John G's Restaurant is located at 264 South Ocean Boulevard. Manalapan, Florida US. 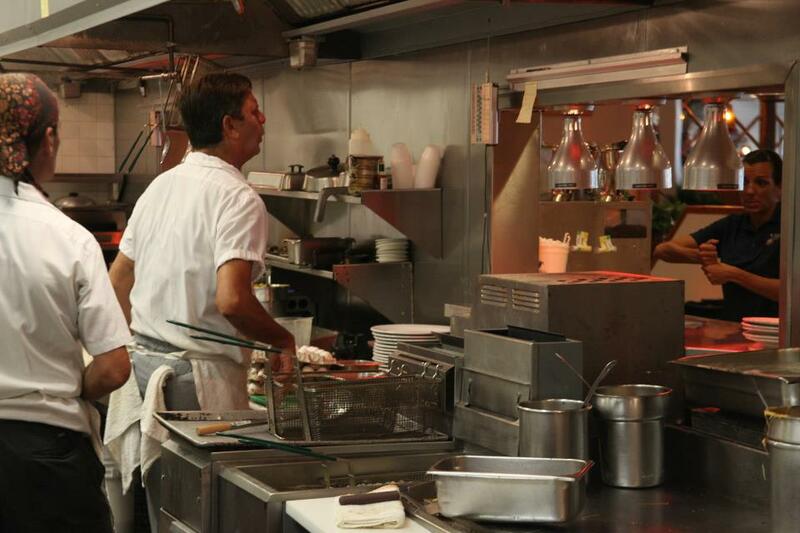 John G's Restaurant is an American restaurant type of establishment offering authentic US food. Come on by or give us a call during business hours if you have questions (561) 588-7733. This site for John G's Restaurant was produced to enhance this client's Internet presence and grow the WebPage Depot online business directory. WebPage Depot is designed for local directories and a far-reaching business directory. This free business listing site provides a fully functional website. The WebPage Depot site marries seven social media accounts (if available), google maps, large pictures, a contact us page (protecting the client's email address), a link to the client's original website and relevant Youtube videos. Additionally, we write an original text Welcome Message.